My little baby Buddha statue....AND a cookbook written in Thai that I bought just because I liked the photography. The funny thing is, my Buddha statue wasn't even from this summer's trip-it was from 2 years ago! I packed it at the last minute as I was leaving Shanghai, and the statue entered Thailand without a problem, but got confiscated on the way out. So the moral of the story is, even if you think Buddha statues are nice, don't buy them. 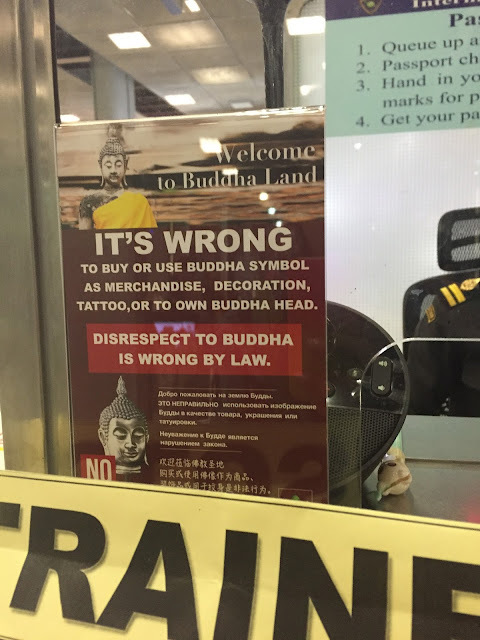 Not only because it's apparently disrespectful to Buddhism, but it appears that the Buddha merchandise just gets confiscated and then resold on the streets to dopey tourists who don't know any better. I personally don't see a need to support the Buddha mafia.